Are you addicted to sugar? Not the biggest deal – or is it? Sugar has been proven to be more addicting than marijuana, fat, salt, and caffeine combined – plus your body actually needs it. Yes that’s right, it needs it – it’s just the surplus portions that you need to manage. Lets face it, sugar is food for the brain and energy for the muscles and without it, you’d crash quicker than a blind man that was driving while texting. 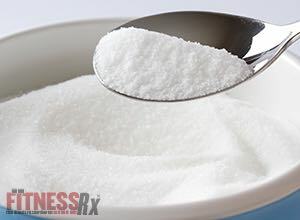 Sugar, a carbohydrate that is soluble in water, (often have suffixes that end in ‘ose’), has been given a bad rap over the years but it’s not the main enemy. Knowledge about the recommended daily intake of sugar and the foods that provide the best sources of it – is. The following guideline is some general information about the many sugars in our foods, their potential pros/cons, and how they will effect your body. Lets start from square one, the simple sugar. Mono means ‘one’ and the ‘saccharides’ references the sugar. There are three main sugars (Fructose, Glucose, Galactose), that belong in the monosaccharide category and one secondary sugar that is important but not mentioned often; Ribose. They are classified as monosaccharides because they can’t be broken down any further by hydrolysis. Fructose – also called ‘fruit sugar’ (levulose), that comes from many fruits, plants, and honey – is one of three main monosaccharides, and is the most basic form of sugar (along with glucose and galactose), that are directly absorbed into the bloodstream during digestion. Although fructose can be obtained naturally from fruits and vegetables, it is mainly ingested in one of two forms, either sucrose (table sugar), or high-fructose corn syrup. Consumption of fructose results in the release of triglycerides by the liver which has it’s many negative effects. Glucose – (dextrose), also referred to as ‘blood sugar,’ is the main sugar used by the body. Insulin, secreted by the pancreas when glucose levels rise, is a hormone that the cells and organs (muscles & brain), utilize to help regulate the glucose levels. Glucose is digested and broken down in the stomach and extracted from such foods as: bread, pasta, oatmeal, cereal, and eventually stored as starch. Normal glucose levels upon wakening are less than 100 milligrams per deciliter, and a couple hours after a meal should be less than 140 (give or take). If your levels are off, you may have an insulin imbalance (prediabetes), and will need to be further evaluated by your Doctor. Galactose – or ‘milk sugar’ – is sugar that is extracted from whey, mammal’s milk, and is found in the human body. Galactose is in the same family as fructose, lactose, and sucrose. Galactose’s primary function is to manage most cellular functions and is vital for infants for their development and maturation. Ribose – the secondary monosaccharide that I mentioned, is a naturally occurring sugar and a derivative of glucose that is formed in the body. Ribose is extracted from food and is converted to energy for the muscles during intense workouts. Ribose has been proven to be effective for the heart and it’s regulation of blood. 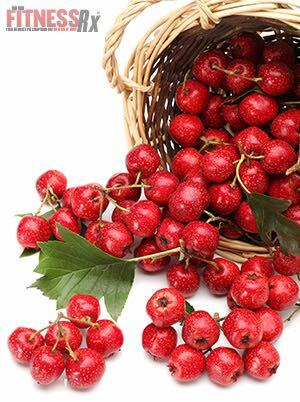 It is also used to treat coronary artery disease, muscle cramping, fatigue, and is also used in some medicines. Sucrose – is made from the glucose and fructose units – is also referred to as table sugar, that is obtained from sugar cane or sugar beets. Sucrose occurs naturally in every fruit and vegetable. When sucrose is hydrolyzed it forms the main ingredient for honey; or ‘invert’ sugar. Lactose – is extracted from sweet or sour whey and is derived from the glucose and galactose units. Lactose makes up between 4-8% of human’s and other mammal’s milk. Maltose – a.k.a. ‘malt sugar’ – is the least common disaccharide in nature; present in germinating grain, trace amounts of corn oil, cereal, and barley. Usually never referenced on a nutrition label; they consist of a small amount of monosaccharides joined together. May offer relief or assistance for: constipation, mineral absorption, lipid metabolism, glucose metabolism and immunomodulation, amongst other things. Many of these benefits are directly linked to the digestion-resistant nature of oligosaccharides in the human body. Interestingly, certain enzymes may produce oligosaccharides from ingested starches and sugars when consumed with a meal. Glycogen – stored form of glucose and the first line of energy for the muscles (stored in the muscles), to use for any physical activity; the remainder is stored mostly in the liver. Starch – plants store glucose as the polysaccharide, starch. Starch is used to convert glucose to energy for use in the body – present in wheat, rice, oats, potatoes, cereals, corn, & barley. Most Nutritionist/Dieticians would agree that most of your carbs should come from this macronutritent. Dextrin – often used as a fiber supplement, is formed by the enacting process of hydrolysis on starches. Dextrin has been reported to increase the number of good bacteria in the digestive tract so that it overwhelms the bad bacteria resulting in improved defecation and overall GI tract health. Dextrin is also responsible for controlling the LDL (bad cholesterol), while maintaining the HDL (good cholesterol), and also may reduce fat cell levels. Cellulose – a.k.a ‘roughage’ – cellulose is a sugar molecule, made of plant material, that gives wood it’s strength and is indigestible by humans (as we lack the enzyme to digest it), but it’s digestible by most animals. Crystallite cellulose is actually added to some foods to reduce it’s calorie content. Cellulose is the main component of the plant cell walls and is the infrastructure of paper. Cotton is amongst the purest form of cellulose. Powdered cellulose – minuscule pieces of wood pulp or other plant fibers that coat the cheese and keep it from clumping by blocking out moisture. One of an array of factory-made additives, cellulose is increasingly used by the processed-food industry. Food-product makers use it to thicken or stabilize foods, replace fat and boost fiber content, and it prevents the need for ingredients like oil or flour; which are getting more expensive. Pectin – (complex polysaccharides), forms the root of certain plants and fruits (some plums and apples), and is sometimes used to make medicines. It may convert to form a ‘gel’ in water and offers a vegan alternative to gelatine. Pectin binds substances in the intestine and adds bulk to the stools. Pectin is used as a thickening agent when cooking and baking. People use pectin for high cholesterol, high triglycerides, and to prevent colon cancer and prostate cancer. It is also used for diabetes and gastroesophageal reflux disease (GERD). Some people use pectin to prevent poisoning caused by lead, strontium, and other heavy metals. 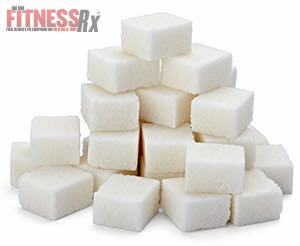 Despite what you may have heard about sugar and its potentially toxic reputation, you CAN control it’s effects on you and your body – the same exact way you control fats and carbs. Now granted sugar can easily sneak up on you in very dense servings such as high fructose corn syrup, pastries, muffins, some cereals, some breads, sodas, and most processed foods – but if you continue to count your calories and locate the added SUGAR (as opposed to natural sugars in fruits and vegetables), on the nutrition label and don’t exceed roughly 35 grams per day (for Men), and 25 grams per day (for Women) – (according the American Heart Association), you can have your cake and eat it too.